So electric. Much static. Wow. As you guys already know, I finally caught up and watched The Amazing Spider-Man last week. It was more entertaining than I expected it to be, not in the least because Andrew Garfield's sassed-up version of Spidey was a breath of fresh air. Sure, Tobey Maguire tried to ooze cool in Spider-Man 3, but we all know that went horribly, terrifingly, cringe-inducingly wrong in ways that still haunt my dreams. 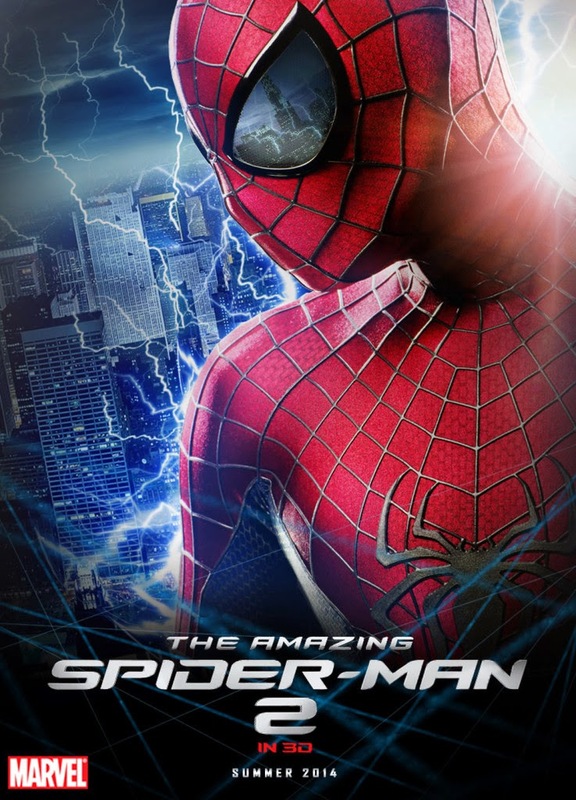 All in all, Marc Webb had done a great job of reinventing Spider-Man, effectively sparking my curiosity for the reboot. With the electric new trailer, he also grabbed my attention. Spider-Man is now New York's resident crime fighter. During his latest chase, which involves capturing Russian thug Aleksei Sytsevich, who attempts to steal a truck containing plutonium, he rescues OsCorp engineer Max Dillon (Jamie Foxx). Later that night, Peter decides that he needs to honor his promise to Gwen's father, ending their relationship to secure her safety. He also looks up his childhood friend Harry Osborn (Leonardo DiCapri'clone Dane DeHaan), who was handed the reins to OsCorp after his father's death. Harry, who suffers from an hereditary illness, soon turns to Peter for a favor: the blood of Spider-Man, which could possibly save his life. Dillon, in the meantime, has a horrible accident an turns into Electro. You get the jist: a lot is going on, which probably explains why Shailene Woodley's parts (as Mary Jane Watson) didn't make the cut. The story would have simply become too cluttered. (And of course it's simply smart thinking to economize Woodley's immense popularity for The Amazing Spider-Man 3.) Cutting her parts was the right decision. Sure, the movie runs for 142 minutes, but it contains just the right mix of storylines, action, romance, humor and destruction to keep you highly entertained. I also really liked Electro's backstory and Foxx's masterful rendition of the blue sparkly villain. In my book, he's easily the most likable and appealing villain. After Loki, of course. Go watch this movie!